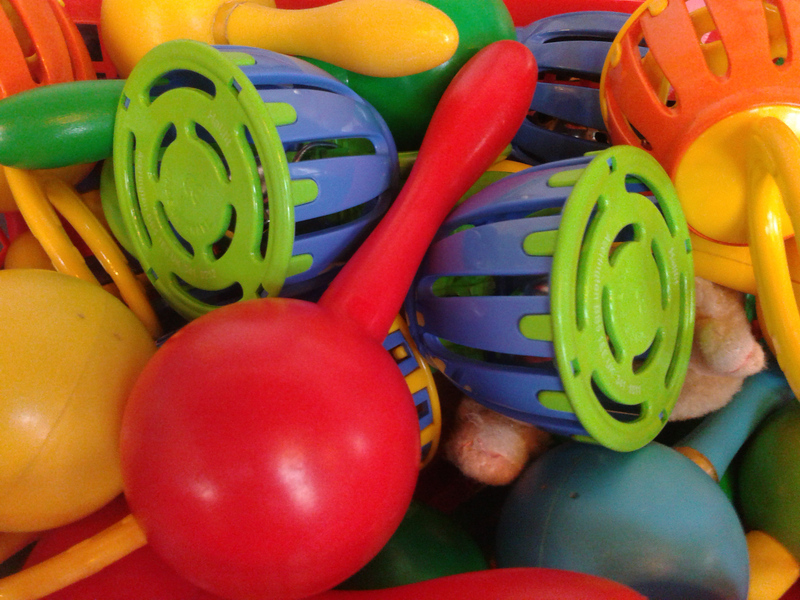 I started taking the Baberoo to music and sensory sessions long ago, when she was just 7 months old. Now, aged 2 ¼, she still loves going to her regular class every week. Clockwork Music (various venues; £66 per 12-week term) is relatively new to Oxford, but is based upon the many years of music teaching experience of co-founders Claire Naylor and Karen Amos. We started out in Claire’s classes when she was teaching through the nationwide Monkey Music system, but she and Karen have now ventured out on their own to create the fabulous Clockwork Music curriculum. It’s a half-hour of fun, songs, games, and experimenting with musical instruments, with lots of movement, dancing, and just a wee bit of organized chaos going on. Clockwork Music offers sessions for different age levels from the youngest babies to pre-schoolers. Our session is the Clockmakers group, for children between 2-3 years old, and takes place on Wednesday mornings at St. Giles Church Hall. Other sessions run at different venues in and around Oxford, Abingdon, and Thame. For information about these sessions please check the Clockwork Music website for venues listings. 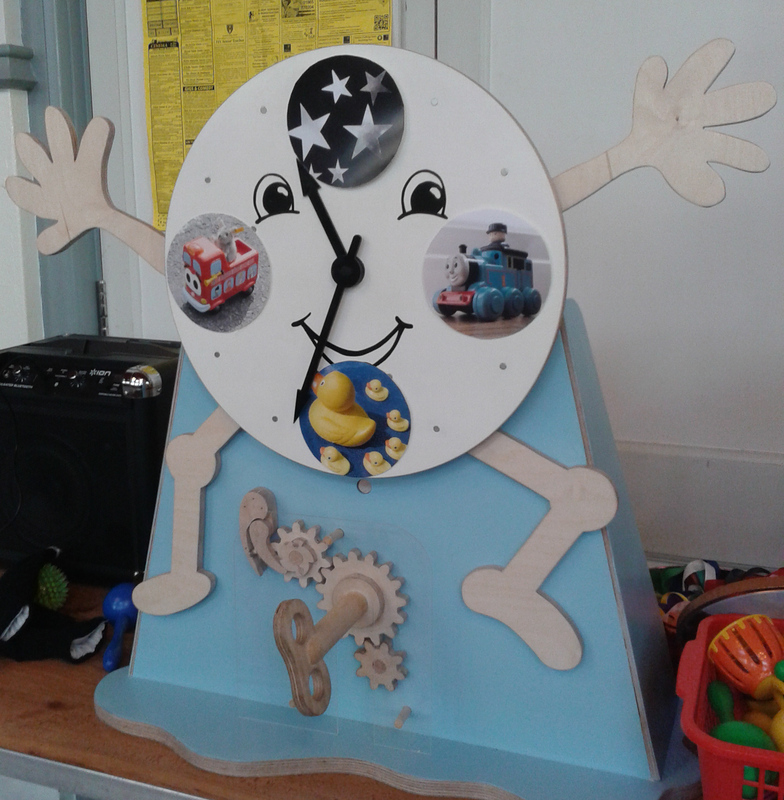 This review will focus on the Clockmakers session with Claire at St Giles Church Hall. As soon as you walk into the Clockwork Music classroom and see Claire with her selection of toys, puppets, musical instruments, and other props, you know that you’ll be in for a fantastic time. Tick Tock, the giant clock, has hands that turn to point to the songs that will be sung during the session, and Tick Tock’s friends Brown Bear, Mouse, Dragon, and many other friendly animals will lead you through each tune. Babies will enjoy hearing the different sounds of instruments and noisemakers, while toddlers and preschoolers will enjoy banging on drums, shaking maracas and rainmakers, and clacking castanets. There’s also time for stomping, dancing, and following along with actions to songs. The energy in the room is always positive, and Claire does an amazing job of going with the flow while also gently leading the class through the scheduled session. 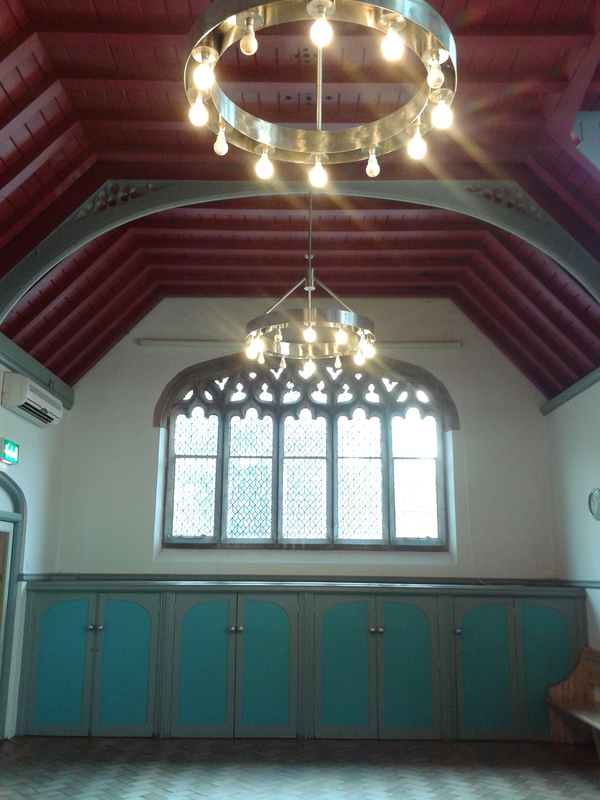 Space: The main room of St Giles Church Hall acts as the music classroom. It’s a lovely open space with high ceilings, beautiful windows, good lighting, nice wooden floors, and lots of room to run around and play. There are benches where you can deposit your coats and bags. Your stroller can be parked in an adjoining space which has ample room for about 15 pushchairs or so. Ambiance: Fun, friendly, and energetic. Singing along to the catchy tunes will perk you up if you (or your child) are feeling low. The welcoming feeling in the room is an unbeatable combination of engaging teacher and well-chosen venue. And the little ones and parents we have met in the friendly atmosphere have ended up being some of our best friends. Facilities: There is a baby-changing table in one of the bathrooms just off the main classroom. The bathroom is spacious, clean and well-lit, and the pull-down table works fine. The only problem is that for some reason there are no garbage bins in that or any other bathrooms in the building. If you have a stinky nappy to dispose of, you will have to bag it and take it with you until you can find an appropriate place to bin it. Feeding: There are built-in benches in the main classroom at St Giles Church Hall. When the Baberoo was younger and still breastfeeding, I would sit on a bench after class while Claire tidied up the props and I would breastfeed her, often in the company of another mother or two. The benches are comfortable enough, but there are also some plastic chairs in the entry area and the stroller-parking area if you prefer. For older toddlers and kids who need snacks I’m fairly sure that it’s fine to eat in the room, although if there is another class coming in directly after you there may not be time to sit and stay a while while munching on a treat. However, there are several cafés nearby, to which you could hop along for, say, a babyccino, as we usually do with some of our classmates. Clockwork Music is one of our favourite activities of the week. I can’t recommend it highly enough. This review gives it 7 out of 8 points, but it can’t do justice to the fun and camaraderie that we experience every time we go. If you are looking for a fun session that introduces your little one to music and movement, Clockwork Music is my top recommendation.